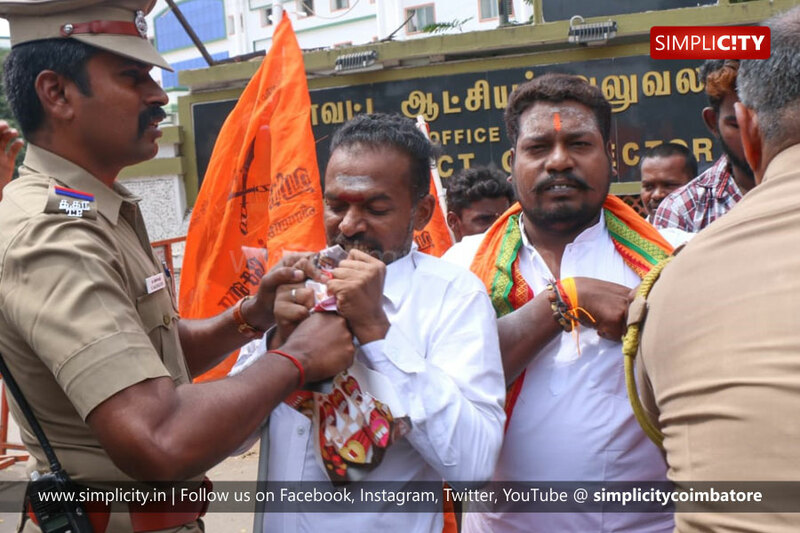 Coimbatore : Ahead of Valentine's day, members of the Hindu Bharat Sena tried to burn greeting cards at the District Collectorate today. The police tried to stop them from burning the Valentine's Day cards but allowed them to file a petition to the Collector urging ban of Valentine's Day celebrations in city bars and clubs. Citing that Valentine's Day was against the nation's culture, the members shouted slogans against Valentine's Day staged a demonstration in front of the Collectorate by tearing the greeting cards. They have also urged the District Collector to tighten vigil in the city on February 14 and take strict action against young couples who celebrate the day as a worldwide celebration of love.